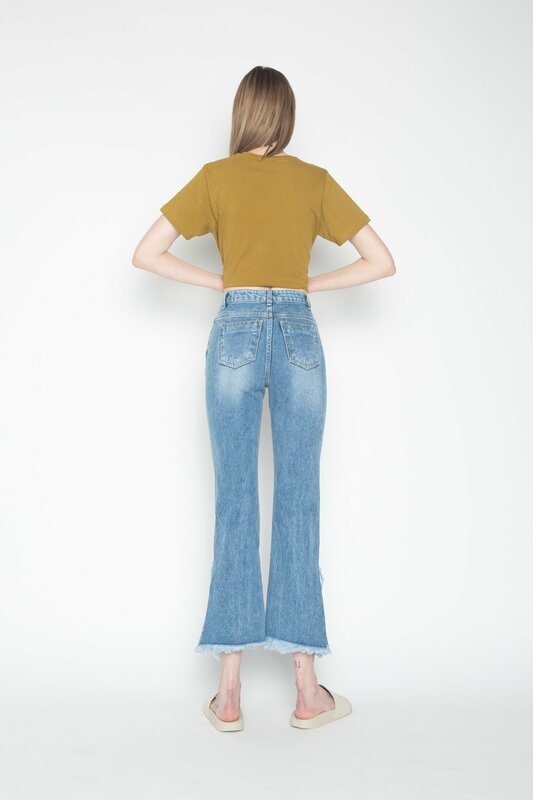 These straight leg jeans have distressed hems that feature frayed edges that are torn diagonally across - making these jeans a statement piece for sure. 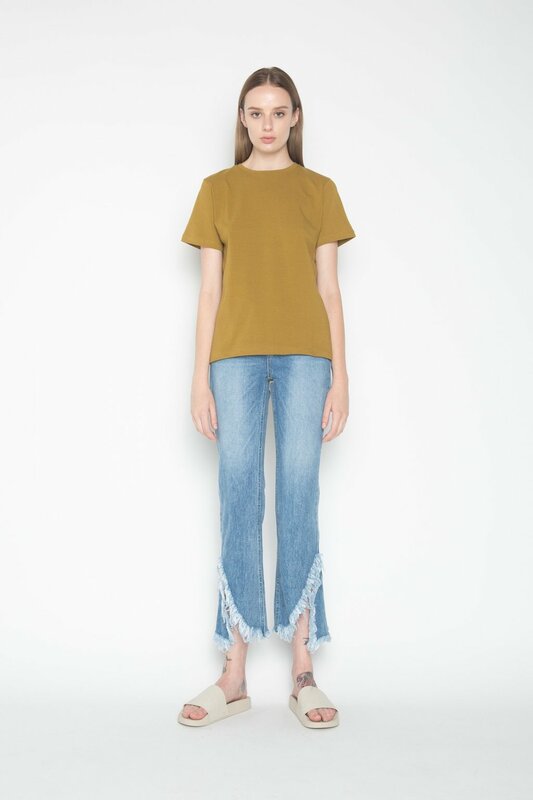 The tearaway denim moves along with you, creating a flared effect. Pair with a t-shirt and flat mules for a simple yet classic look.